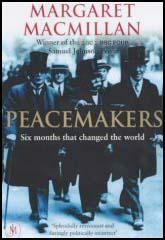 On 8th January, 1918, President Woodrow Wilson presented his Peace Programme to Congress. Compiled by a group of US foreign policy experts, the programme included fourteen different points. The first five points dealt with general principles: Point 1 renounced secret treaties; Point 2 dealt with freedom of the seas; Point 3 called for the removal of worldwide trade barriers; Point 4 advocated arms reductions and Point 5 suggested the international arbitration of all colonial disputes. Points 6 to 13 were concerned with specific territorial problems, including claims made by Russia, France and Italy. This part of Wilson's programme also raised issues such as the control of the Dardanelles and the claims for independence by the people living in areas controlled by the Central Powers. All the major countries involved in the First World War objected to certain points in Wilson's Peace Programme. However, when peace negotiations began in October, 1918, Wilson insisted that his Fourteen Points should serve as a basis for the signing of the Armistice. What we demand in this war, therefore, is nothing peculiar to ourselves. It is that the world be made fit and safe to live in; and particularly that it be made safe for every peace-loving nation which, like our own, wishes to live its own life, determine its own institutions, be assured of justice and fair dealings by the other peoples of the world, as against force and selfish aggression. All the peoples of the world are in effect partners in this interest, and for our own part we see very clearly that unless justice be done to others it will not be done to us. I. Open covenants of peace, openly arrived at, after which there shall be no private international understandings of any kind, but diplomacy shall proceed always frankly and in the public view. VI. The evacuation of all Russian territory and such a settlement of all questions affecting Russia as will secure the best and freest co-operation of the other nations of the world in obtaining for her an unhampered and unembarrassed opportunity for the independent determination of her own political development and national policy, and assure her of a sincere welcome into the society of free nations under institutions of her own choosing; and, more than a welcome, assistance also of every kind that she may need and may herself desire. VII. Belgium, the whole world will agree, must be evacuated and restored, without any attempt to limit the sovereignty which she enjoys in common with all other free nations. X. The peoples of Austria-Hungary, whose place among the nations we wish to see safeguarded and assured, should be accorded the freest opportunity of autonomous development. XII. The Turkish portions of the present Ottoman Empire should be assured a secure sovereignty, but the other nationalities which are now under Turkish rule should be assured an undoubted security of life and an absolutely unmolested opportunity of autonomous development, and the Dardanelles should be permanently opened as a free passage to the ships and commerce of all nations under international guarantees. XIII. An independent Polish State should be erected which would include the territories inhabited by indisputably Polish populations, which would be assured a free and secure access to the sea, and whose political and economic independence and territorial integrity should be guaranteed by international covenant.